My balcony on the sixth floor in downtown Bariloche, Argentina (41S 71W, in Northern Patagonia). Amatuer radio astronomer Thomas Ashcraft operates a forward-scatter meteor radar and an all-sky meteor camera, side-by-side. "I was able to capture one nice Geminid fireball so far before the weather turns dicey for us here in New Mexico," he says. "Hoping for more!" 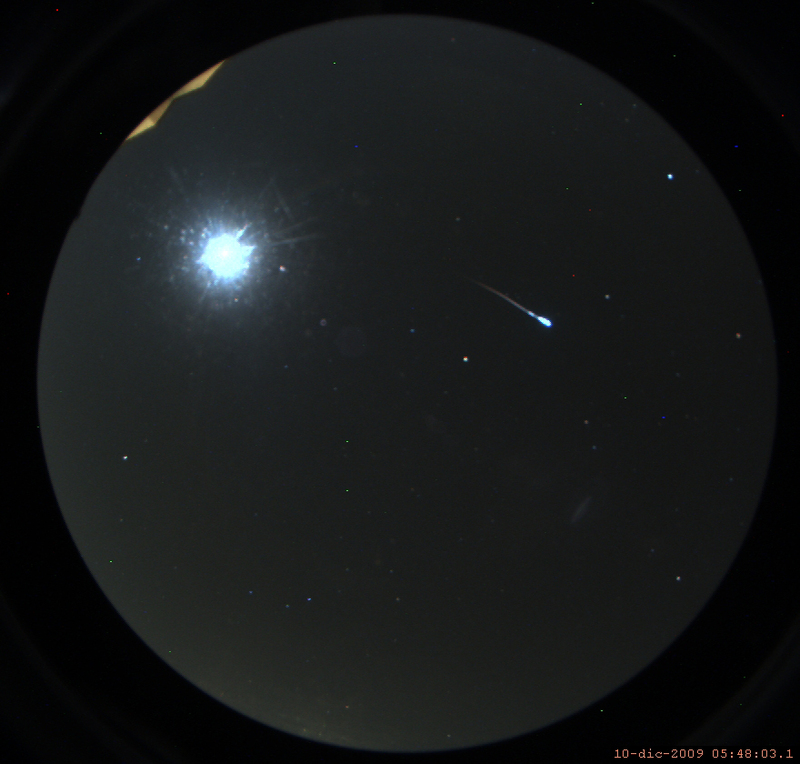 Meteor in the morning of December 10 at 05:48:03 am local Mexican time with a self made All SKy camera. 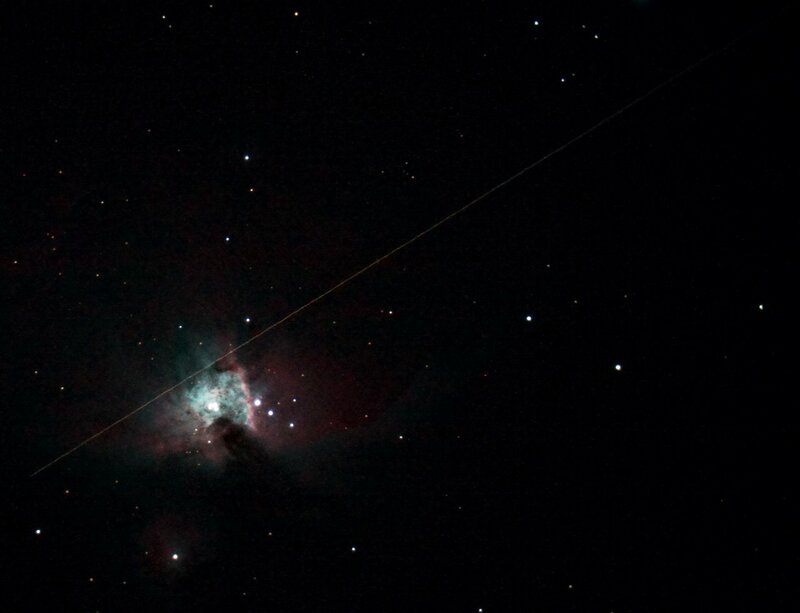 Exposure time 119.75seconds. 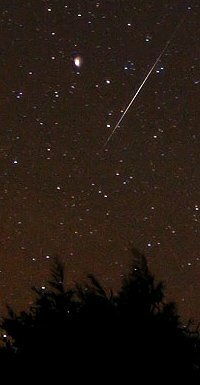 Here you can find a movie of the whole night including a Jet trail as well as the Geminid Fireball. 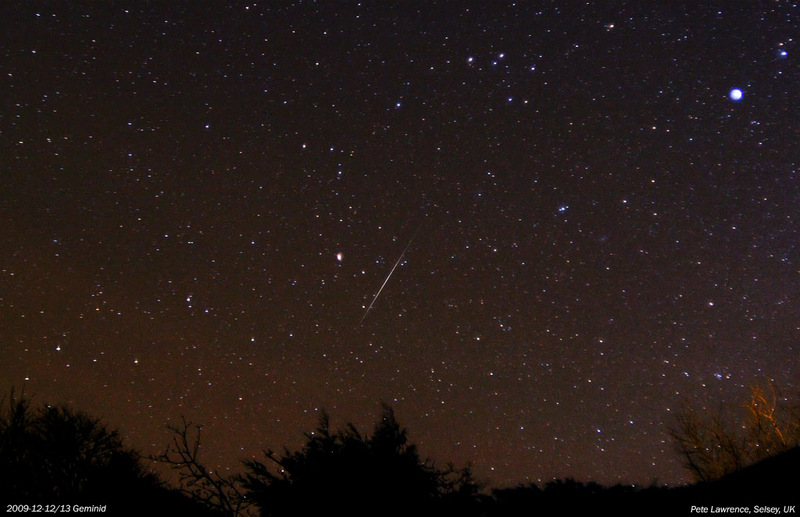 The Geminids appear pretty active tonight (December 12/13). 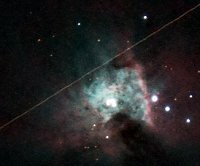 Here's one caught on camera close to the star Alphard in Hydra.